We’re getting right into Fall here in Maine! The daylight hours are quite a bit shorter and the air is crisper every day. This all of course turns thoughts to hunting, and we hope you’ll take advantage of our Fall promotion: Take 10% Off All Retail Items – and if your order is more than $50, we’ll ship it free (via FedEx ground). And, there are special items – different every week – that we’ll take 20% off. 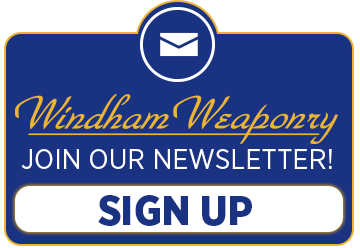 Any of our hard hitting .308 models are perfect for large game – we’ll feature several in this newsletter, or go to www.windhamweaponry.com to see them all. Do you have a showroom – so I can see your rifles? Yes, our rifles are displayed at the new Windham Indoor Shooting Range and Retail Store. The retail store is open now and the range will open in November. Hi Folks ! Bought one of your 223/556 and love it. Shoot it at the range all the time. It does not jam up like my friends do. Nice work you guys. Elisha H. with a Maine black bear she took this year with her Windham Weaponry 7.62×39 SRC. I just wanted to say hi, and let you guys know how much I love my rifle. I purchased my SRC back in 2012, being my first gun I personally purchased. I put a couple thousand rounds through it, loving every slap of recoil. In April of 2014 I joined the Army, and was unable to shoot my baby at all. Since joining, I have put rounds through all sorts of M16s and M4s, and you know what? I hate(d) them. I absolutely despise shooting my issued M4. But, I finally got my father to send my SRC up here to Alaska and received it Oct 2. I promptly put 500 rounds through it (steel cased too). Loved every second of it. I cannot tell you enough how much I love my rifle, and how much joy it brings me. My reason for messaging you is my reason I initially bought your rifle, you guys care. I really don’t even care for a response from you (though it would be nice), I just want whoever it is that reads this to know that you guys and gals are awesome. This tool allows the operator to clean the weapon and restore the bolt and carrier group to “tactical tolerance” in a matter of minutes. This investment-cast 300-series stainless steel scraping tool removes carbon build-up from the bolt, bolt carrier, and firing pin flange, and is small enough to stow conveniently in your shooting bag or gun case. It is designed for AR-10’s with a .308 caliber bolt and carrier group. Features include bolt cleaner/scraper, firing pin cleaner, ¼” hex head, carrier cleaner/scraper with a patch hole. The bolt cleaning chamber is CNC machined to precisely fit a mil-spec bolt. Approximately 3.5″ long/1.5 ounces. 100% made in the U.S.A.
We are VERY excited to announce the opening of the new retail store located here in Windham Maine, at the new Windham Indoor Shooting Range and Retail Store located right here in the Windham Weaponry factory complex. So if you’re plans are taking you to Maine, please be sure to stop by and check out the new store. The indoor range is scheduled to open in November. Just a reminder that from now until October 19th I would like to offer those that qualify special pricing on the SRC-308 as well as the .308 in TimberTec Camo finish. These are two amazing rifles that will get the job done in the woods or in the fields. Each rifle is supplied with a 20 Round Pmag (unless state restrictions apply), QD sling swivel, shipping in a hard plastic case. I will be traveling to a few shows in the month of November. 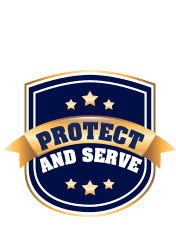 I will be attending the Tennessee Law Enforcement Training Officers Association Conference the week of November 15th. From there I will be traveling to Chicago for the Illinois Tactical Officers Association Conference from November 22nd to the 24th. If you are going to be in the area of either of those shows, please be sure to come by and introduce yourself.